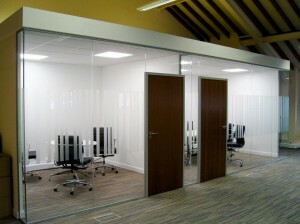 Storage and Interior Concepts have installed a freestanding frameless glass partition in an office near Melton Mowbray. Coloured striped carpet tiles compliment the interior finish. 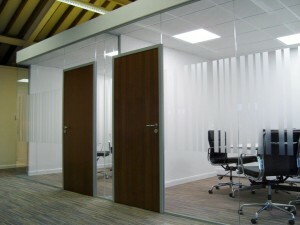 For more information on the partitioning options we provide. 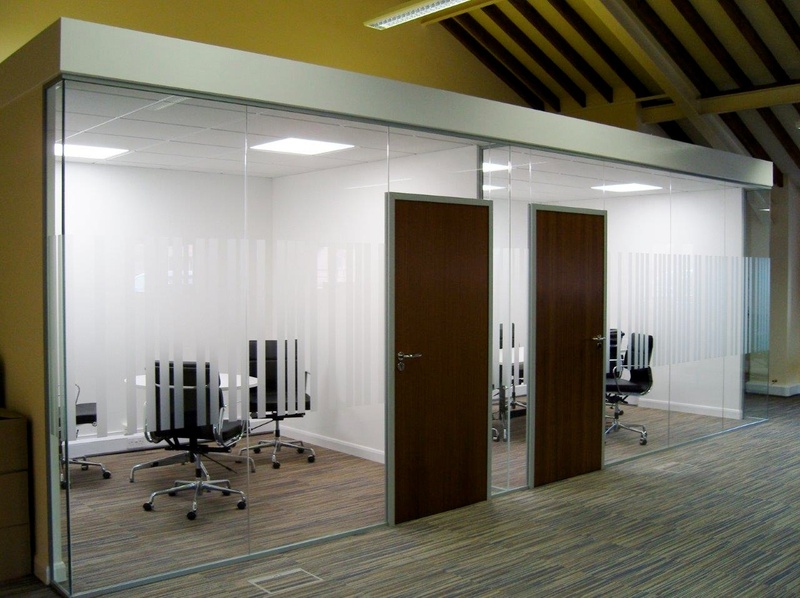 At Storage Concepts, we like to give our clients the best possible idea of the products the may be interested in by showing them around our extensive showroom. Storage Concepts and Interior Concepts showroom, located in Melton Mowbray, leics, is a 456 m2 (4,900 ft2) showcase for a huge range of advanced concepts in partitioning, storage and space-utilization systems as well as contemporary office and boardroom furniture.